Don’t we all love a handy and portable travel bag when we travel? Of course we do! Who doesn’t, right? A travel bag’s quality can often make or break your vacation. A tear here or a hole there can definitely ruin anyone’s day especially when we are on a trip. Who knows what possession we might have lost or might have broken. 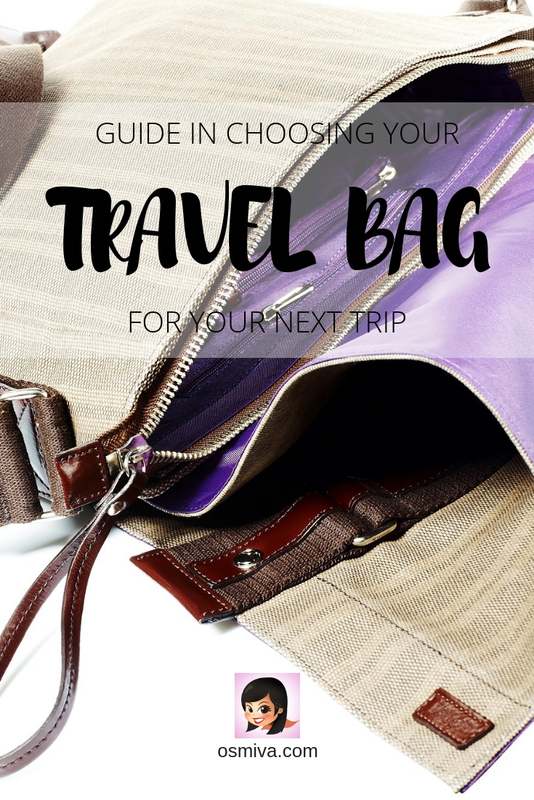 A good travel bag doesn’t necessarily have to be expensive. You don’t need to spend thousands of cash just to get that handy and reliable travel bags for your trips. Regardless if you’ll be on the road for a long time or for just a couple of days, it’s always a must to have that perfect travel bag as it will be your travel buddy wherever you go. 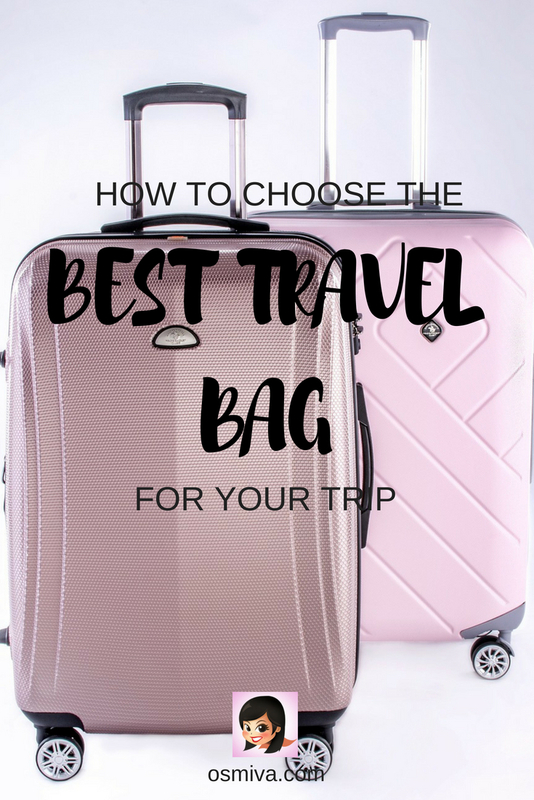 If you are still searching for that perfect travel bag for your needs, we have a short but helpful guide on selecting the travel bag that’ll fit your needs and your wants for when you are on your vacation. Read on! 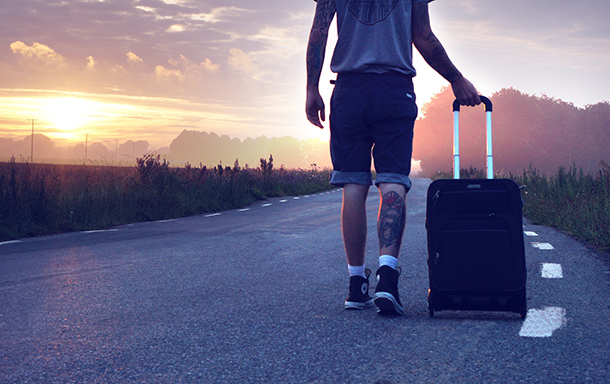 A wheeled luggage is a suitcase with wheels and a favourite mostly by travelers because of how convenient it is especially when you are moving around. The wheeled luggage nowadays comes in a variety of designs and colours. I love my wheeled luggage when I travel to cities or towns that I know the road is well-paved or are concrete. It’s the ideal travel bag when I’m staying in a comfortable hotel where I can just open up my bag and have plenty of space to put it on. A luggage can also be a life-saver if I am in a smaller hostel room/ dorm as it becomes my personal cabinet. 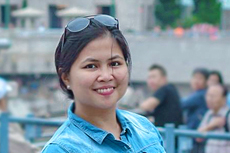 I used my luggage on trips to cities like Hongkong and Singapore and even when I used to travel for work. It was pretty handy and I knew I will be staying in hotels during the entire duration of the trip. Although there are several drawbacks if you will be traveling on rough road or if you will be traveling on more rural areas. It can ruin the wheels (especially) if you forcefully drag it on rough road and will add unnecessary weight on you. When choosing a luggage, it’s important to take note of the sturdiness of the wheels and the handle. I also find it annoying if the retractable handle is not smooth enough when I push it down and pull it up. This is particularly annoying when I’m at the airport and I need to pull it up and push it down. Carry-on luggage is often used to fit everything a person can. Most carry-on luggage open like a book and pack like a suitcase. 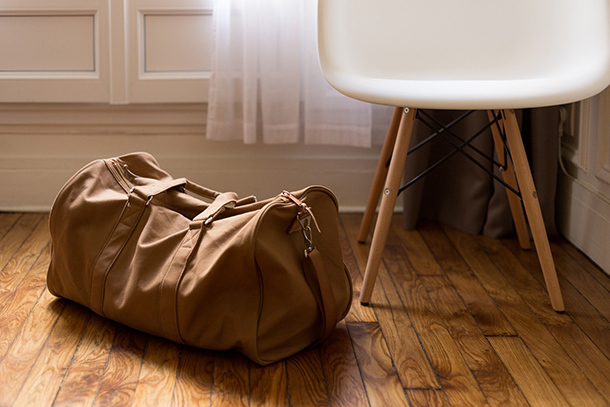 Travelers mostly prefer carry-on luggage because it is a better and safer choice, especially when taking an airplane due to airline restrictions and other risks. It is recommended to be used for international travel, weekend trips, overnight stays or single-day business trips. A duffel (or duffle) bag is a large cylindrical bag made of cloth. 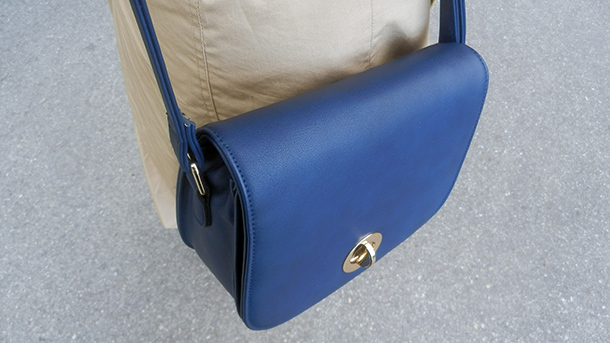 In recent years, the duffle bag is typically referred to a specific style of bag. Duffel bags are lightweight and make your packed items easy to access. Packing clothes on a duffle bag can be tricky. You’ll need to fold down edges of the bag, roll clothes, and shake it up before securing the bag. It is best to note too that when packing for a duffle bag, it is best if you start with the low-priority items. Meaning, those things that will be used later on should be placed at the bottom of the pile. I personally love duffle bags for shorter trips or when I don’t want to be bothered by checking in of bags at the airport. The only drawback though is the additional hand-carry item that I must bring with me. I tend to forget stuff when I’m in a hurry. When selecting a duffle bag, I find those with longer straps more convenient as I can just wear it like a shoulder bag or cross-like on my body when I’m on the road, freeing my hands to hold or do things. Some companies have created rolling duffel bags for added convenience. These are recommended for road trips, weekend vacations, and overnighters. The wheeled duffle bag is less heavier (in terms of body weight) compared to a wheeled luggage. Weekender Duffle Bags are smaller duffle bags that can fit in clothes and stuff for 2-3 days max. These are great for weekend trips or for short business trips. A backpack is supported by the shoulders with double handles and lie across the back. Recently, backpacks come in different shapes and sizes to reflect and adapt to their purpose. 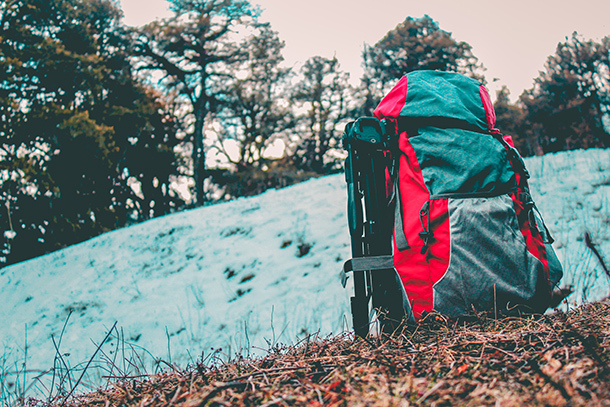 For example, backpacks suited for hiking are very stable and comfortable in order to carry heavy loads for long periods of time. Hydration backpacks are also available which are specifically made to hold water bottles. They are commonly used by hikers and students. Some backpacks are designed to carry small valuable items such as laptops and cameras. Backpacks are often used for short trips. Backpacks are recommended for day trips, adventure travel, multi-destination, and international travel. My husband personally love backpacks. Me too if we’re traveling from one place to another like on our Ilocos trip. We mostly stayed one night at a certain hotel then transfer again. The Northface backpacks are our personal choice. We’ve trekked with our bags in Mount Pulag, Osmeña Peak and Mount Manunggal and never had any problem with it. Travel packs are specialized type of backpack for adventurers and are popular with backpackers. They are short and fat, and open like suitcases so it is easy to pack and unpack. Travel packs have extensive use of straps, webbing, and frame for a good fit for the user. It is great for people who plan to always be on the go a lot. It is recommended to be used in business travel, day trips, and adventure travel. As the name suggests, laptop bags are primarily used to carry laptop. It may also carry other accessories such as mouse, charger or external keyboard. Usually laptop bags come with a shoulder strap, although there are laptop backpacks. Laptop backpacks are handy when travelling for short distances because long distance travel may strain the traveler’s back. Day packs are perfect use for one-day outdoor activity in which you need to carry gears that you just can’t carry in your pockets. They are usually zipped onto rucksacks or backpacks when sold. This travel bag is built for outdoor activities such as backpacking, hiking, climbing, and running. Daypacks’ profile allows travelers to move well while carrying them on their backs. Technical daypacks handle overnight load for ultralight backpacking. Some daypacks are built with water bottle pockets. Some have many organization features like dividers, separate compartments, and organizer panel for small items. We girls love our cute day use bags especially when we are around and about. I know that sometimes we are in constant search for the best and the cutest bags we can carry around while we pose in front of the camera with an iconic view/ landmark as our backdrop. If you are like me who tend to bring a wallet, my phone, a few vanity items (comb, lipstick and a small mirror), then a cross-body purse is enough for you. It’s practical and can be chic too. Messenger bags are a type of satchel with a cross-body strap and are associated with briefcases and are therefore more formal than other types of bags but can also be used casually. Beach bags can be a tote bag or a large hand bag that is used to carry bigger personal items (e.g bathing suit, beach towel, or sunblock). They are mostly made from waterproof material to keep your things from getting wet. You can also bring them for island hopping activities and day tours. What’s your favourite bag when you travel? I have a gorgeous leather duffel bag that I just love, but it can be impractical for anything longer than a couple of days, and gets heavy on my shoulder. Otherwise, it’s a small wheeled carry-on for me! I only check a bag if there’s camping or serious trekking involved! Years ago I had a wheeled backpack… talk about unnecessary extra weight! Now I stick to a regular backpack or a wheeled suitcase… not both! I think this is something people take for granted until they really start traveling! Running through the airport to make a connection with the WRONG carry on one time opens your eyes to how important it really is! Thank you for a quick and easy guide.